Chilango Fresh Mexican – Go There. Try That. Our friends Josh and Laura share our passion for Mexican food. There’s just something about relaxing and sharing a bowl full of chips and salsa over good conversation! Now, if you dine with our friend Josh, you have to get multiple bowls because he has this thing with adding extra salt to the chips! Anyway, Josh and Laura recommended a new Mexican restaurant called Chilango and it took me all of a hot minute to make my way there! Located in Loveland, Chilango Fresh Mexican is all I’ve been thinking about for the last three days. Eventually, I will try it all! Unlike big Mexican restaurant chains, Chilango is a taqueria with fresh and innovate ingredients. 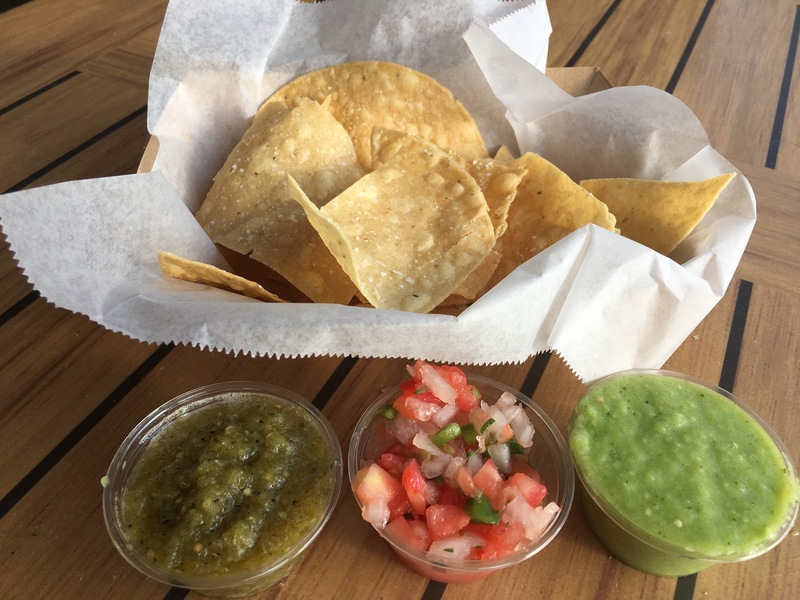 The chips are made fresh and the salsa bar includes everything from a fresh pico to a creamy salsa verde. We enjoyed all the salsas, multiple times. The chips are crispy, thin, and perfectly salty (right, Josh?). There’s a spicy white queso and a guac awaiting my next visit. Cochinita: Shredded citrus braised pork, cabbage slaw, pickled red onion, Chilango sauce (spicy). Braised Beef: Beef braised in Negra Modelo, pickled onion, queso fresco, crema and salsa verde. Flank Steak: Angus steak, grilled onion, queso fresco, salsa verde. Pork Belly: Seared pork belly, grilled pineapple. pickled red onion, and avocado-tomatillo salsa. Tinga: Shredded chicken in a tomato chipotle sauce, avocado-tomatillo salsa, pico de gallo, queso fresco and crema. 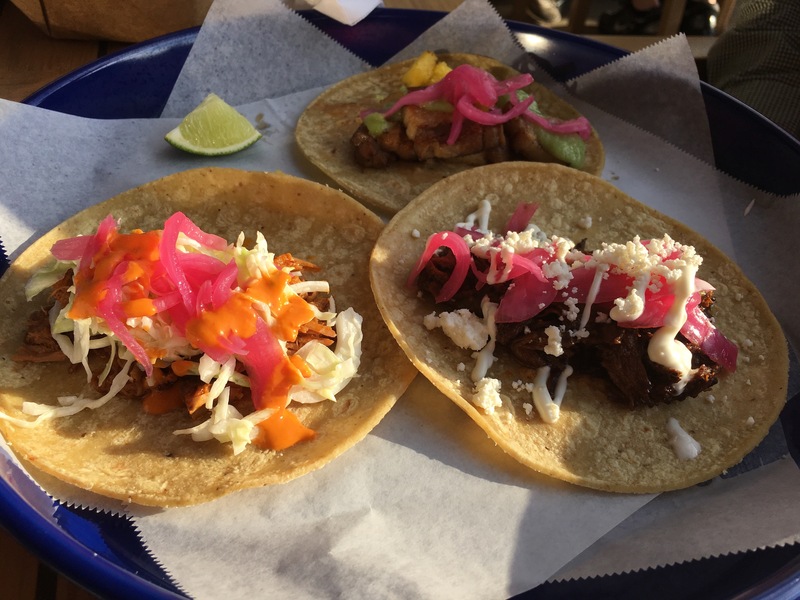 We seriously savored each taco. In the end, while I loved them all, I really enjoyed the simplicity of the Flank Steak and the brightness of the Cochinita (citrus braised pork). Chilango also offers flour tortillas which I really appreciate! I’m looking forward to the Chorizo next time. 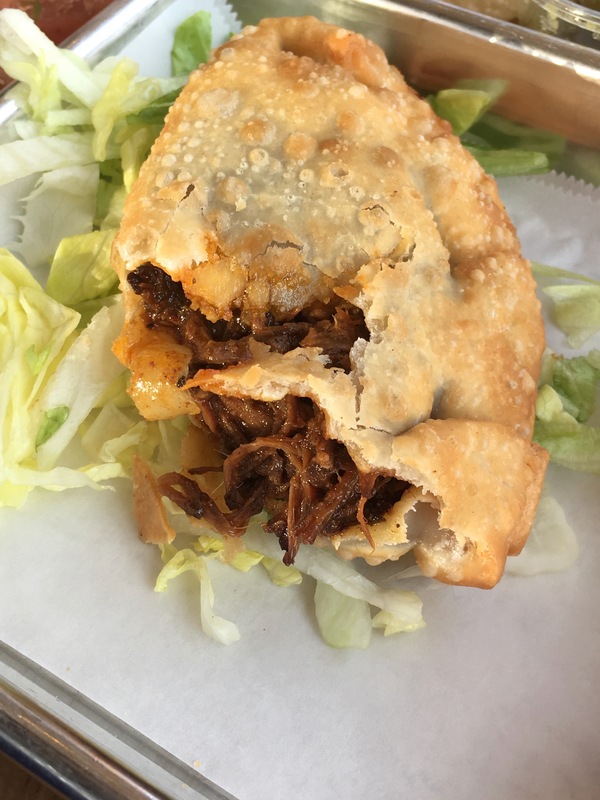 Special shout out to the Braised Beef Empanada. 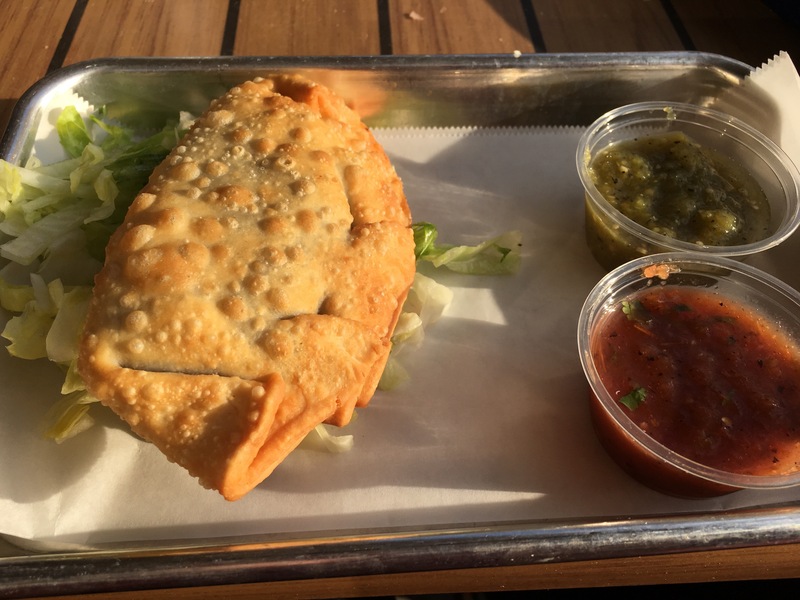 It’s the best empanada I’ve had in this city and I’ve had my fair share. The beer braised beef with the grilled onion is simply perfect. Honestly, all the meat is braised and marinated so well. I didn’t want to share! Chilango Fresh Mexican has a nice outdoor patio; perfect for a Horchata, fresh Margarita, or Mexican soda. Family owned, fast casual, and packed with flavor, Chilango is at the top of my list for made-to-order, tasty Mexican food. If you go for tacos, order at least three a piece! Josh and Laura? Date night soon? GO THERE (Chilango in Loveland)! 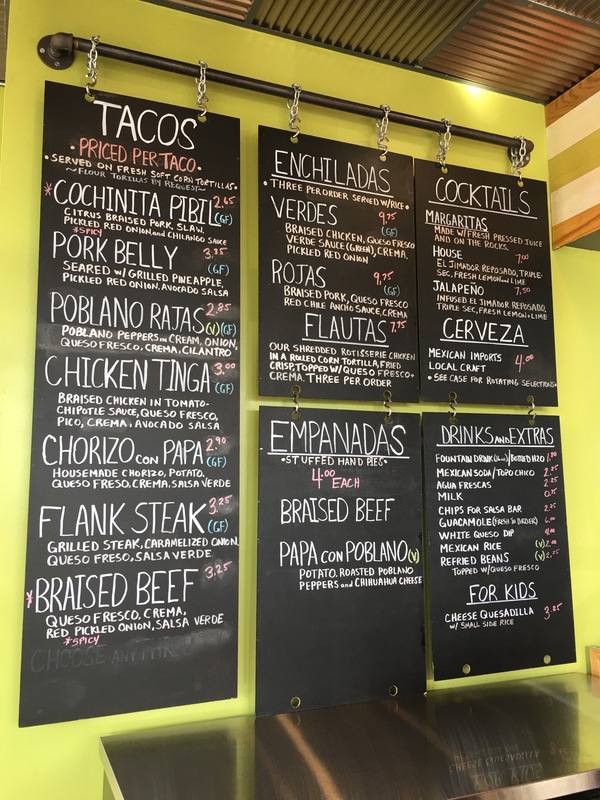 TRY THAT (Beef Empanada, Chochinita, Flank Steak)!